Please download the final program here. Documentation file explaining the experiments can be found here. In preparation of the workshop a special effort is made to collect and compile the best possible experimental datasets useful for model validation. The databases remain available for use afterwards and in a number of cases are suitable for inclusion in the ERCOFTAC wiki. The proceedings reporting on results of this and previous workshops will be published as a journal special issue. The TCS workshop takes place on Sunday September 17, 2017. 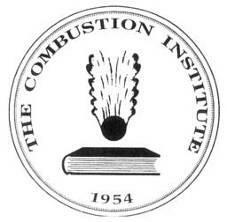 This is the day preceding the 10th Mediterranean Combustion Symposium. The workshop is held at Sala Normanna, the Hotel Royal Continental, Via Partenope 38/44, Lungomare Caracciolo, 80121 Naples, Italy. Please download the registration form and mail or fax it as soon as possible. Please indicate if you plan to submit a poster presentaton. Thank you. To book accommodation, you may go through any of the hotel booking sites or contact: Hotel Royal Continental: Phone +39 081 7644614, Email book@royalcontinental.it. Note: No block booking is made for TCS6 so it is advisable to book early. 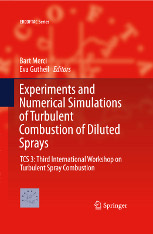 The workshop is co-organized by ERCOFTAC special interest group 28 "Reactive Flows" and co-sponsored by HGS MathComp of IWR, Heidelberg University, Germany.